When we buy products or services, we always ask for recommendations from people we trust. This way we can cut through all the “not-so-perfect-for-us” stuff out there, and go straight for the top quality. There are no words for just how much hassle this has saved us. As a way to pass it on: here is our “What we love” list. * Some of the links on this page are affiliate links, this means that you also support Awakening Women if you decide to use the service. 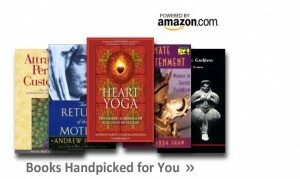 Here is our very own Awakening Women Amazon store. Here you will find all kinds of books, from poetry to soul-business inspiration, to books on the most mystical Goddess worship. Browse around and see what pulls on your attention. One core value in the Awakening Women community is: I don’t have to do it alone. Here is our list of people and services keeping us alive and vibrant and that we highly recommend. Sariah Michaels ~ seer/truth-teller/medicine woman. She gets right down into the very matrix of your soul and from there she helps you unravel the truth of the matter. She has been Chameli’s mentor for years. She works via skype/phone. Contact Sariah.